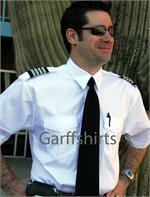 Pilots should look great at all times, so investing in the best pilot dress shirts available starts online with GarffShirts.com. 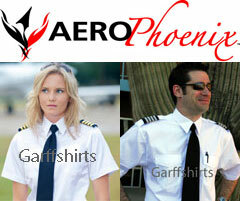 Our business is proud to carry a wide array of pilot shirts, including these exceptional selections from AERO Phoenix. Whether you are seeking long sleeve or short sleeve shirts for men or women, we are confident that you’ll be comfortable and look great when you put on one of these AERO Phoenix shirts. Our business offers selections made for both women and men. AERO Phoenix is dedicated to providing you with quality items to make your flights perfect. 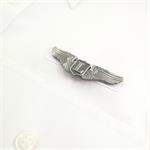 They have worked with a wide array of pilots to make sure that they are able to receive exceptional pilot dress shirts that are both comfortable and functional. 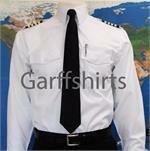 Take a look at our selections and place an order when you are on the lookout for new pilot shirts. Our team is confident that you’re going to love our new AERO Phoenix shirts. 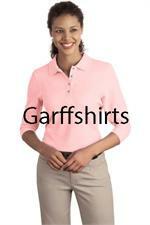 Garffshirts Price: $32.95 - Quantity Discounts! 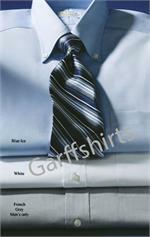 Garffshirts Price: $35.95 - Quantity Discounts! The Elite pilot shirt is designed by AEROPhoenix to be the most comfortable, finest made, period. 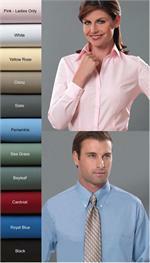 Its dress-shirt, designer quality fabric, construction and fit, are immediately apparent. Compare the Elite to any other pilot shirt, at any price. 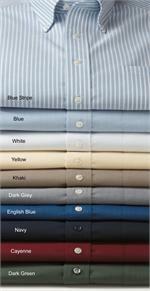 Extra fine 60% cotton pinpoint oxford fabric, of consistent "optical white" color, two-ply yarn and high density weave. Dress shirt quality, high density (16 stitches/in), two-needle felled stitching throughout. Just-pressed look right out of the bag, and easy care. Deep, single-piece shoulder yoke, offers excellent comfort and cleaner appearance. Dual back pleats for added movement and easier care. 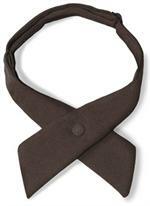 Reinforced collar tips and button area, for an exceptionally neat appearance. 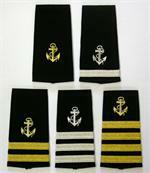 Top fused collar, epaulets, and placket. "Size graded" pocket placement, offers optimal positioning, regardless of shirt size. Left pocket has "false" instant access flap, right pocket has real flap. Pen slot in each pocket, with stitched channel on left side. Cuffed elbow-length sleeves for a professional appearance. Premium cross-stitched buttons, w/extras sewn to placket bottom. Men's Even-sized long sleeve pilot shirts available. 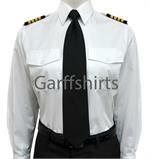 Womens pilot shirts size 0 up to 14. The Aero Phoenix Elite pilot shirt is manufactured in China at an ISO 9000, highly sophisticated factory, that makes 50-100,000 shirts a day. Only their highest skilled workers sew our shirt, and are paid amost twice the average rate. The typical time to make a shirt is about 18 minutes - ours takes 48 minutes! In other words, this shirt is distinctly, TOP QUALITY!